The biggest “bookshop” in the Philippines is opening today and it’s only open for a few days. Today is the first day of the Manila International Book Fair (MIBF). I’ll be launching a new book. Ang Allowance na Hindi Bitin that I co-authored with Philip Roa. 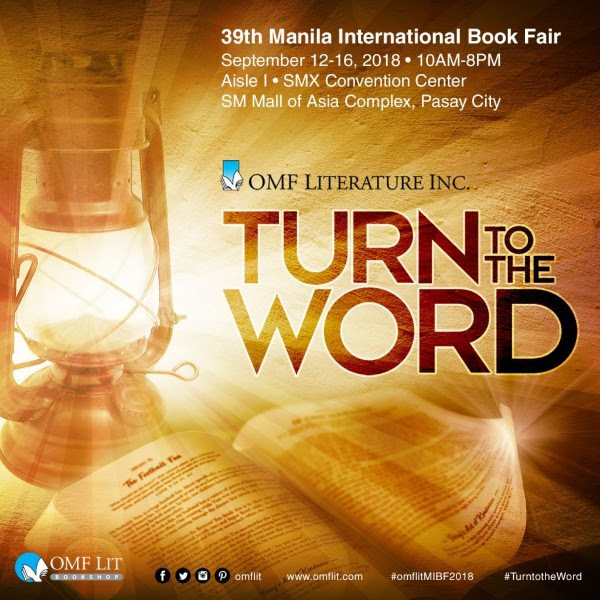 Book signing for that book is on Saturday, September 15, from 1:30pm to 3:30pm at the OMF Lit booth. See details on all the other things happening at the OMF Lit booth in their promotional email letter below. Please also pray that my sister (also an author now) wins an award for her first book called Mourning to Morning. As some of you know, my bunso sister, Cheri Roberto, lost her bunso son (my Godson), Bruce when he was just 13 years old last May 2012 in a car accident. She turned her tears and grief into pages of a book to help and bless other people who are in grief and mourning. Hello Friends! Today, Sept 12 is the Award Ceremonies for the Cardinal Sin Catholic Book Award. It’s such a great blessing and honor just to be a finalist for my book MOURNING TO MORNING but it would be nice to win too (smiley) Ceremonies start at 6PM at the Manila International Book Fair, SMX. Pls come and share this momentous event with me (smiley) God Bless! If you need some cheer, come here to the MIBF. 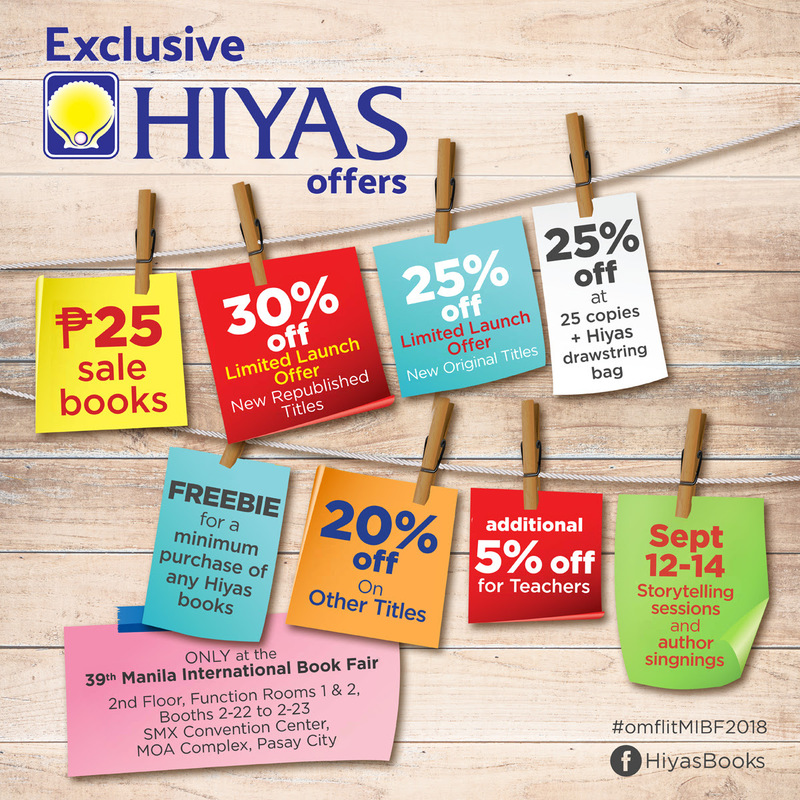 The 39th Manila International Book Fair (MIBF) starts today and we at OMF Literature are excited to bring you new books, free tickets, discounts, freebies, book launches, book bundles and so much more. Most importantly, we want to highlight fact that all the books we publish, distribute, and import have one unifying purpose: to make people look to God and His Word. 1. We have free, downloadable tickets for you! Just print as many as you can and whatever size you want and bring them with you when you go to the SMX Convention Center. To get your free tickets, click here. 2. We’re launching 14 new original titles including More Than Most by Feliz and Jay Jay Lucas, Lovestruck Shanaba? Edition by Ronald Molmisa, Gone? by Grace Chong, and Ang Allowance Na Hindi Bitin by Ardy Roberto and Philip Roa. To check out all the new original titles we’re launching, click here. We also have 11 new republished titles plus other new, imported titles available! 3. We have a lot of discounts available at our booths! For more information about our other promos, click here. 4. We have a lot of author meet and greet events, book launches, and storytelling events. Click here for the complete list! 5. We are giving away a Kindle ebook reader and a book lamp! Click here to know more about it. 6. We have a lot of freebies when you make purchases at our booth! 7. We have an Inspiration Bag that you can get for only P999 but it has stuff worth more than P2000! Click here for more information. 8. We have all these great book bundles only available at MIBF. We have 15 starter packs and survival packs for your different book and life needs. Click here to check them out. 9. If you post about your book recommendations when you’re at our booth, you get a free magnetic bookmark! Click here for details. 10. Hiyas, our children’s book imprint, is celebrating its 25th anniversary this year! So we have lots of treats if you visit our booth at the second floor. Click here for details.